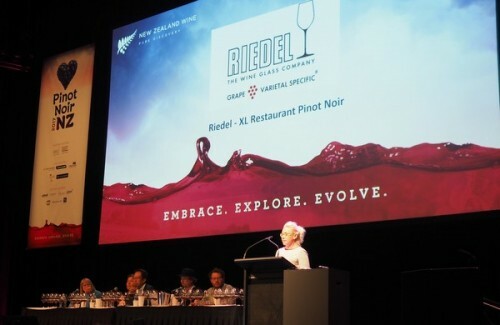 This was the headline International Pinot Noir tasting at Pinot Noir 2017 in Wellington. In this session, rather than focus on New Zealand, it was time for the panellists to look further afield. Each of the four chose two wines that they felt represented greatness in Pinot Noir, and then explained their own views on greatness in wine. It was a meaty, intriguing session. 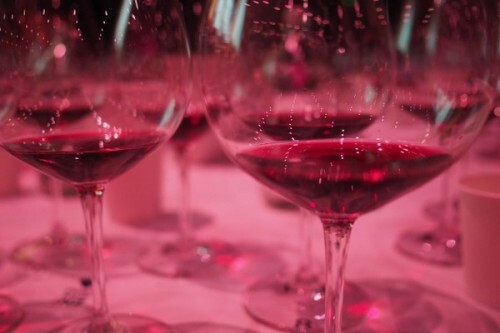 We tasted them blind, knowing solely who had chosen the wines. These are my notes and scores as written blind. I didn’t try to guess where the wines were from, and instead tried to focus on what was in the glass. This was a really interesting selection. 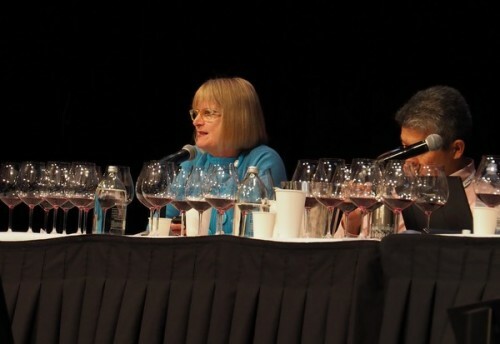 Among other things, Mike talked about how fault finding is often at championship levels at Australian wine shows, yet in the evening the judges would drink classic European wines which displayed the sorts of faults that had been so soundly criticized during the day. Reputation and expectation both blinker assessments of quality. ‘I want my wine unbalanced,’ he added, pointing out that sometimes the edges in a wine provide interest. He mentioned winemaker intent as an important attribute of the wine. ‘How the wine gets to bottle is more important than subjective assessment.’ Mike’s choices were thought provoking and smart. The view of Pinot Noir quality I am about to present may strike you as somewhat different from what you are familiar with,’ says Ken. He says that until recently Japan was quite a self-referential culture. Ken tried to explain the Japanese mindset. ‘Great Pinot Noir is transparent with the best qualities of premium water: it is smooth with a completely clear aroma and taste.’ According to Ken, transparency is the cornerstone of great Pinot Noir. ‘It means the wine has a pure aroma and palate, a finish suited to the focus of harmonious aroma and palate, and a silent and understated sensation.’ Ken’s choices demonstrated this. Jancis began by noting that had this conference taken place in the last century there’d be far more mention of Burgundy in a seminar like this. But the world of wine is a big one, and good Pinot is being made in many different locations these days. Some trivia: As a student Jancis drank a Chambolle Musigny Les Amoureuses 1959, and this was the wine that did it for her. She pointed out that just 0.1% of the tasting notes on her website are on non-Burgundy Pinot Noirs that have scored over 18 (which is a very high JR score). This makes up 140 wines, of which 18 are from Oregon, 37 from Australia, 38 from California and 46 from New Zealand. Jancis’ choices were, as you’d expect, very good.